I have often preached to Users of Paladin services that the most dangerous type of financial advisor was an ethical advisor who turned rogue. These financial advisors acquired credentials when they were legitimate and used the credentials to rip-off investors when they decided to put their own interests first. And because the credentials were real, investors did little or no due diligence before committing their assets. For example, Madoff was the chairman of NASDAQ and the president of one of the largest market-maker firms on Wall Street see Madoff: Don’t let Wall Street scam you, like I did. He looked legitimate and had credentials, references, and referral sources that helped him grow his business. It also pays to remember, he was not caught, and he turned himself in when the 2008 bear market created billions of dollars of distribution requests that could not be fulfilled. 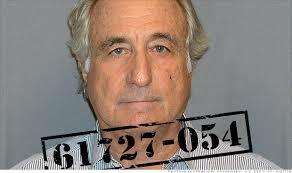 Paladin Research conducted 15 minutes of Internet-based due diligence after Madoff surrendered to authorities. We found several inconsistencies and omissions that should have been red flags for investors. I can only conclude they were so mesmerized by Madoff’s credentials, background, and opulent offices that they did not think it was necessary to conduct any form of meaningful due diligence – even if they were going to invest $100 million. Madoff was unique which is good news for investors. What is not unique is the tens of thousands of financial advisors who take advantage of millions of investors on a daily basis. And their business practices are legal. They do not steal assets, but they misrepresent credentials, omit critical information, and sell bad financial products to maximize their own incomes. Investors are damaged and they have little or no recourse. They are supposed to be knowledgeable enough to protect their own interests. But, that is also a fallacy. Very few investors have processes in place that gather the data they need to make the right decisions when they select, retain, and replace financial advisors. Paladin Research & Registry recognized the problem and developed free processes for investors that helped them make the right decisions when they selected, retained, and replaced financial advisors. Investors can use free tools on Paladin’s external site without registering or they can open a free User account that enables them to gather data from advisors, produce reports and ratings, and archive data so they have a permanent record of advisor responses.